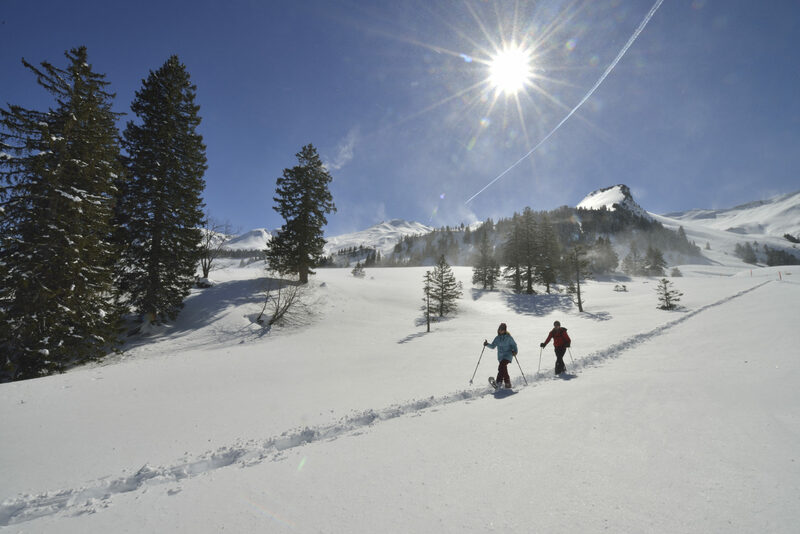 Being out and about with snowshoes means enjoying nature to the full. 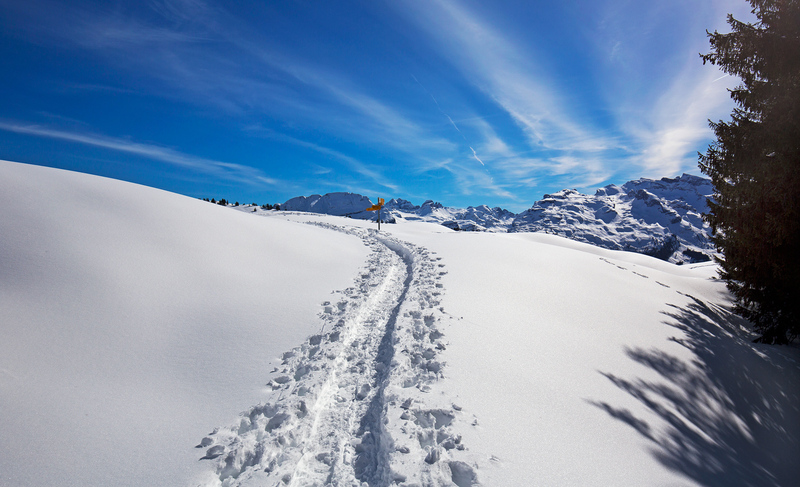 Leave your own individual track through the deep snow – away from daily life in search of a natural idyll. 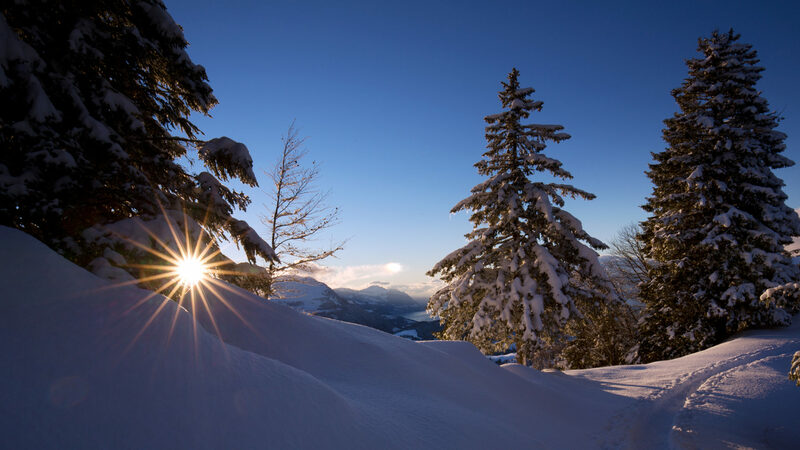 Snowshoe hikes make for an intensive experience of nature. Discover the Stoos-Muotatal region off the beaten track and away from the hustle and bustle. 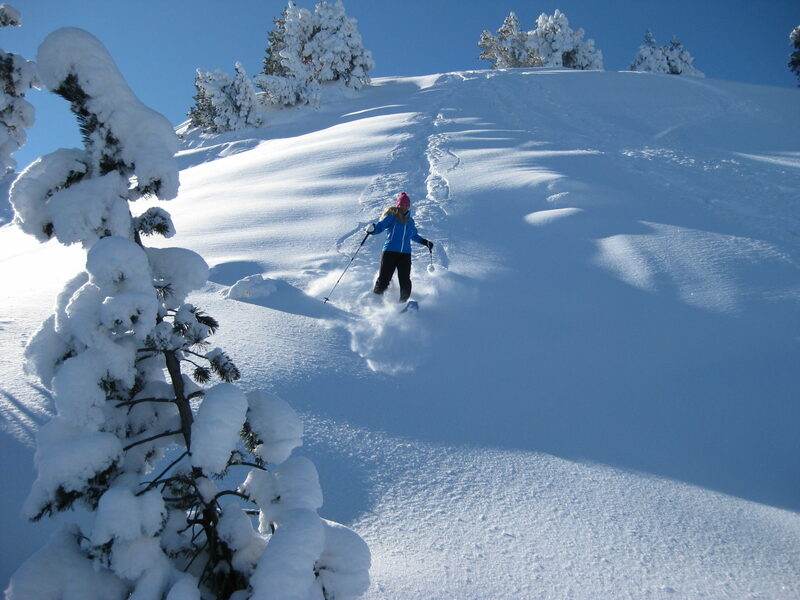 The snowshoe routes in Illgau, on the Stoos and in Muotathal are marked and signposted. 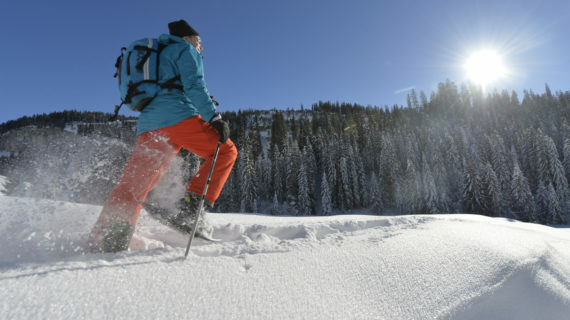 From the short, easy trail near the village for beginners and families to demanding summit hikes for ambitious snowshoe trekkers, there is something in store for everyone. We would like you to experience the full power of nature. We kindly ask you to observe the four rules of conduct so that this experience is not at the expense of the wild animals. Beautiful hiking in the wonderful winter atmosphere on the Stoos. The forest hut is located at the highest point of the tour and invites you to relax. 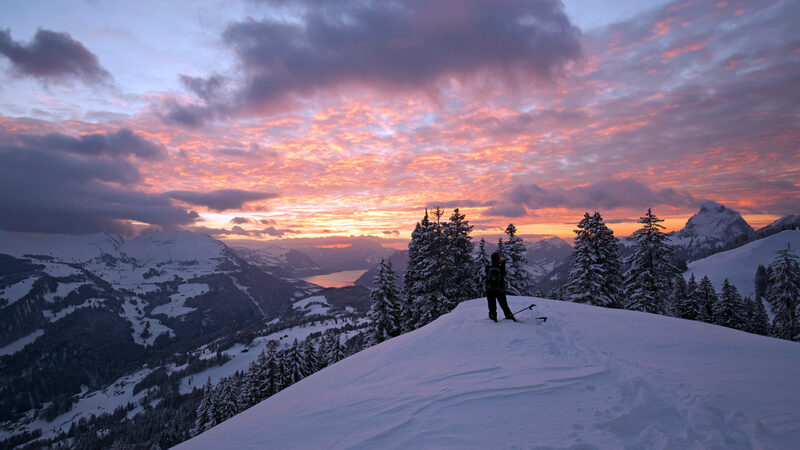 The area around the mountain village of Illgau radiates strength and peace. 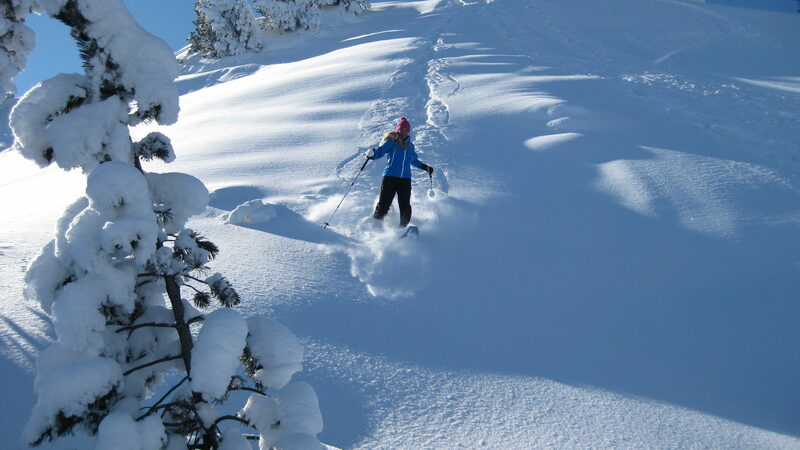 In place of a ski circus, an abundance of space in an extensive natural setting awaits you on this tour. The area lies above the fog level thanks to the southern orientation and altitude. With its wild streams, snowy forests and white meadows, the Guggeli route displays the wild, romantic side of Muotathal. The tour is suited to beginners and families. Haven’t found the right tour yet? 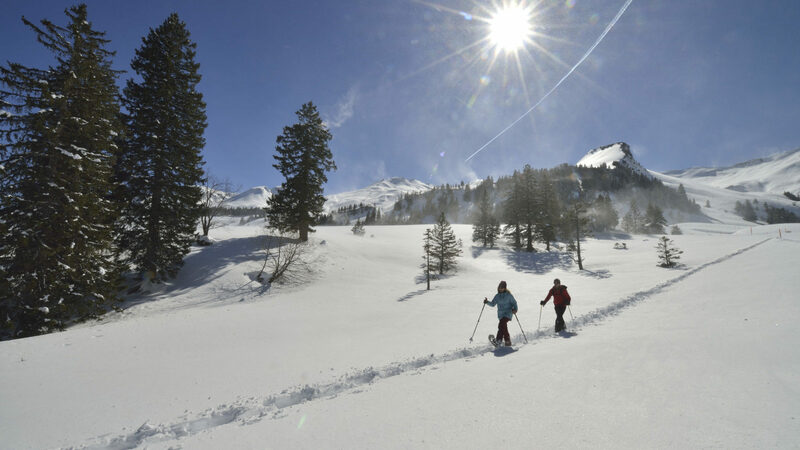 Discover the different snowshoe trails of the Stoos-Muotatal region and gain inspiration.